Plumbers Ballsbridge pride ourselves on being one of the highest quality emergency plumbing & heating companies in Dublin. All of our Ballsbridge plumbers are highly trained and qualified in all areas of the trade. This includes Gas Safe registered. So whether it’s a blocked drain, a burst pipe or a replacement boiler, no job is too big or too small for them to handle. Our emergency plumbers Ballsbridge service. We are here to help you. We GUARANTEE a 60 minute call out response time for our 24 hour emergency plumber Ballsbridge service. We don’t just cover emergencies we offer free no-obligation advice to everyone. Having been established for many years now and having plumbing experts with over 30 years experience in the private and commercial plumbing industry we are here to help you. We are fully insured with public and professional indemnity insurance, honest, reliable and 100% focused on friendly service to our clientèle. For our clients extra assurance unlike most plumbing companies in Dublin we stand by all of our work. Our “plumber Ballsbridge” warranty is a standard 1 year for parts and labor. We know that if we are supplied a faulty part it’s not your fault or ours but within it’s 1 year warranty we will happily comes out and replace it free of charge if it breaks down during that period. 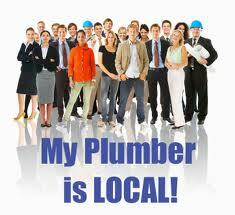 Professional Ballsbridge plumbers without call out fees or hidden charges. Plumbers Ballsbridge provide the ultimate service, extremely competitive pricing; free call out with a professional no obligation quote. We pride ourselves on our customer service, with no hidden fees or charges, we do not charge traveling time or parking fees. Our vans are always fully stocked so as there is never a need to be “sourcing parts” and we don’t charge for call outs. If you live in the Ballsbridge area and need urgent assistance call us on 01-6874850, we would be delighted to offer you any advice you may require. No Hidden Charges! No Call Out Fees, Free advice, No Obligation Quotes.